The Popular Café at Mullumbimby is now gone. I have these images of the mural which stretched around the four walls from shoulder height to the ceiling. 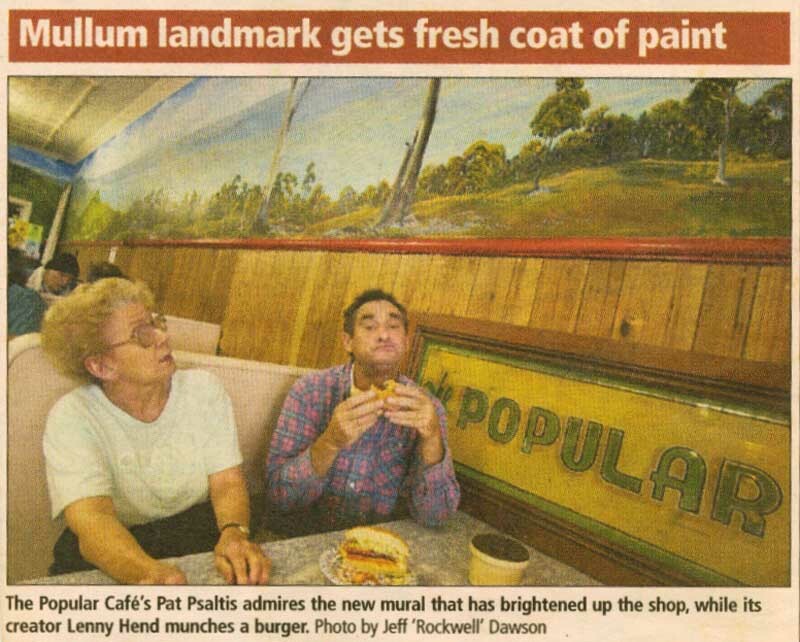 This mural took months to complete as there was no hurry and Pat (the owner) would always ensure I left with a full belly.